* Available in Standard and King Size. * Each set includes 2 pillow cases. 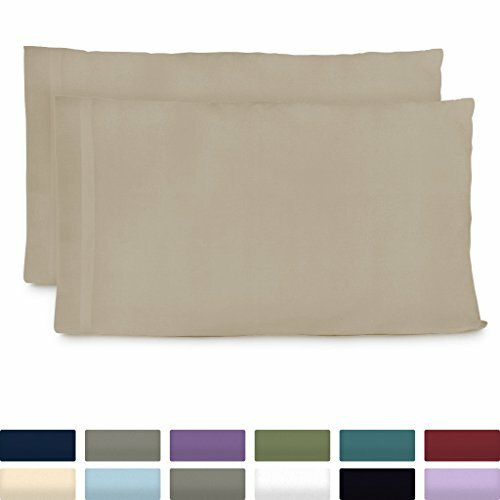 Great companion to your Cosy House bed sheet sets if you have 4 or more pillows in your bed. LIGHT & COOL - enjoy the cool side of the pillow all night long! Our unique fabric is the most breathable and crisp fabric out there. It stays cooler than cotton and is thermal regulating, which balances your body heat as you sleep. Pillowcase Measures 20" x 30"
If you have any questions about this product by Cosy House Collection, contact us by completing and submitting the form below. If you are looking for a specif part number, please include it with your message.